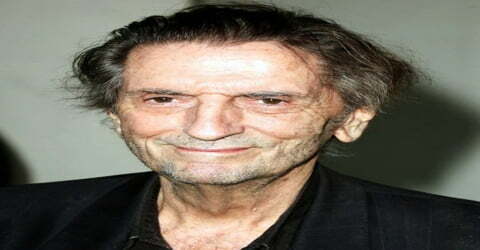 Harry Dean Stanton – American actor, musician, and singer. 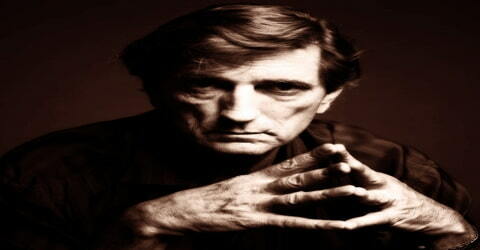 American actor, musician, and singer, Harry Dean Stanton was born on July 14, 1926, in West Irvine, Kentucky, the U.S. to Sheridan Harry Stanton, a tobacco farmer and barber and Ersel (née Moberly), a cook. He was a craggy-featured character actor whose face was more familiar than his name to many audiences, was equally adept at playing bad guys or more heroic characters. In addition to a near prolific number of appearances as a character actor and in cameos in film and television, Stanton also became a musical performer, using a guitar and harmonica to play mainly covers on the small-club circuit in Los Angeles. His rich body of work in show business, spanning more than six decades, established him as a prolific actor. Stanton appeared in both starring and character roles in notable films such as ‘Repo Man,’ ‘Paris, Texas,’ ‘Cool Hand Luke,’ and ‘Lucky.’ Once a student of journalism and radio arts at the ‘University of Kentucky’ in Lexington, Stanton loved both singing and acting. Stanton served in the ‘US Navy’ during the Second World War and was on board the ‘USS LST-970’ during the Battle of Okinawa. After returning to university, he was motivated by British theater director Wallace Briggs and began training at the ‘Pasadena Playhouse’ in Pasadena, California’ to prepare for an acting career. He made his TV debut with the anthology series ‘Inner Sanctum.’ His first credited film role was in the Western film ‘Tomahawk Trail.’ He then got his big break in the road movie ‘Paris, Texas.’ Other notable acting pursuits of Stanton included his roles in films such as ‘The Green Mile,’ ‘Pretty in Pink,’ and ‘Seven Psychopaths. Stanton also appeared in the TV series ‘Big Love’ and ‘Twin Peaks.’ He toured nightclubs and performed as a singer and guitarist and featured in music videos of stalwarts such as Bob Dylan. In a career that spanned more than six decades, Stanton made appearances in the films Cool Hand Luke (1967), Kelly’s Heroes (1970), Dillinger (1973), The Godfather Part II (1974), Alien (1979), Escape from New York (1981), Christine (1983), Repo Man (1984), Paris, Texas (1984), Pretty in Pink (1986), The Last Temptation of Christ (1988), Wild at Heart (1990), The Straight Story (1999), The Green Mile (1999), Alpha Dog (2006), Inland Empire (2006), and Lucky (2017), and had supporting roles in many others. Harry Dean Stanton was born on July 14, 1926, in West Irvine, Kentucky, the U.S. to Sheridan Harry Stanton, a farmer and barber, and Ersel (née Moberly), a cook. His parents divorced when Stanton was in high school; both later remarried. He had two younger brothers, Archie and Ralph, and a younger half-brother, Stanley McKnight. His family had a musical background. Stanton studied at one of the largest high schools in Kentucky, known as the ‘Lafayette Senior High School.’ Thereafter, he attended the ‘University of Kentucky’ in Lexington, where he studied journalism and radio arts. During his university days, he performed at the ‘Guignol Theatre,’ where he had the opportunity to work with British theater director Wallace Briggs. It was Briggs who motivated Stanton to quit university and venture into acting when Harry was still undecided between singing and acting. He then joined classes at the ‘Pasadena Playhouse’ in Pasadena, California, where he had Tyler MacDuff and Dana Andrews as his classmates. During World War II, Stanton served in the United States Navy, including a stint as a cook aboard the USS LST-970, a tank landing ship, during the Battle of Okinawa in 1945. His first role on screen was in the tepid movie Mark of the Apache (1957), but he was quickly noticed and appeared regularly in minor roles as cowboys and soldiers through the late 1950s and early 1960s. His star continued to rise and he received better roles in which he could showcase his laid-back style, such as in Cool Hand Luke (1967), Kelly’s Heroes (1970), Dillinger (1973), The Godfather: Part II (1974), and in Alien (1979). It was around this time that Stanton came to the attention of director Wim Wenders, who cast him in his finest role yet as Travis in the moving Paris, Texas (1984). Next indie director Alex Cox gave Stanton a role that really brought him to the forefront, in the quirky cult film Repo Man (1984). Stanton featured in uncredited roles in the films ‘Revolt at Fort Laramie’ (1956) and ‘The Wrong Man’ (1956), before playing the role of ‘Private Miller’ in the 1957 Western film ‘Tomahawk Trail,’ where he was credited as “Dean Stanton.” He used this screen name in some of his initial films to prevent people from mistaking him for another actor named Harry Stanton. 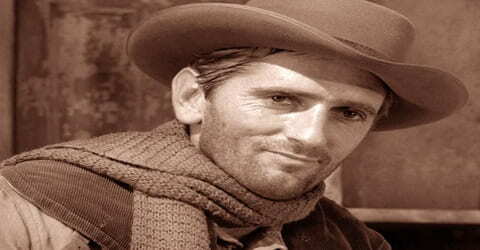 Stanton played Stoneman in the “Have Gun – Will Travel” 1959 episode of Treasure Trail, credited under Dean Stanton. He made his film debut in 1957 in the Western Tomahawk Trail. He appeared (uncredited) as a complaining BAR man at the beginning of the 1959 film Pork Chop Hill starring Gregory Peck. Then in 1962, he had a very small part in How the West Was Won, portraying one of Charlie Gant’s (Eli Wallach) gang. The following year he had a minor role as a poetry-reciting beatnik in The Man from the Diner’s Club. Early in his career, he took the name Dean Stanton to avoid confusion with the actor Harry Stanton. With time, he became a favorite of notable directors, such as Monte Hellman, David Lynch, Sam Peckinpah, and John Milius. He also developed close ties with American actor and filmmaker Jack Nicholson and American filmmaker, screenwriter, and film composer Francis Ford Coppola. He was the “best man” in Nicholson’s wedding in 1962. After nearly three decades in films, Stanton landed up with his real breakthrough when he garnered the lead role of ‘Travis Henderson’ in the Wim Wenders-directed road movie ‘Paris, Texas.’ He earned the role after being spotted by one of the scriptwriters of the film, Sam Shepard, in a New Mexico bar, while both of them were in the city to attend a film festival. In 1983 Stanton appeared in Paris, Texas, a Wim Wenders film. He also appeared on the film’s soundtrack from Ry Cooder, singing a haunting Mexicali waltz entitled “Canción Mixteca” entirely in Spanish and delivering an almost nine-minute monologue in “I Knew These People.” He also sang one of the film’s songs, “Across the Borderline,” on Cooder’s 1987 album, Get Rhythm. ‘Paris, Texas’ premiered at the ‘Cannes Film Festival’ on May 19, 1984, and had its theatrical release in the US on November 2, 1984. It won several awards at Cannes, including the ‘Palme d’Or’, the ‘Prize of the Ecumenical Jury,’ and the ‘FIPRESCI Prize.’ The movie also garnered acclaim from both critics and audiences and grossed US$ 2.2 million at the box office. This was followed by other starring roles in notable and commercially successful films of different genres, which showcased Stanton’s versatility. Such films included the 1984 American war movie ‘Red Dawn,’ the 1985 American–Canadian Christmas fantasy film ‘One Magic Christmas,’ the 1986 romantic comedy ‘Pretty in Pink,’ and the 1997 action film ‘Fire Down Below’ among others. In 1989, Stanton co-wrote and performed one tune “The Watch” on the Call’s Let the Day Begin. Farm Dogs, a band led by Bernie Taupin, paid tribute to Stanton with the song “The Ballad of Dennis Hopper & Harry Dean,” which featured on the Last Stand in Open Country, the band’s first album. He also appeared on its sophomore outing, Border Drive-In Theater. Stanton’s television credits were extensive, including eight appearances between 1958 and 1968 on Gunsmoke, four on the network’s Rawhide, three on The Untouchables, two on Bonanza, and an episode of The Rifleman. He later had a cameo in Two and a Half Men (having previously appeared with Jon Cryer in Pretty in Pink and with Charlie Sheen in Red Dawn). Beginning in 2006, Stanton featured as Roman Grant, the manipulative leader/prophet of a polygamous sect on the HBO television series Big Love. Stanton was now heavily in demand, and his unique look got him cast as everything from a suburban father in the mainstream Pretty in Pink (1986) to a soft-hearted, but ill-fated, a private investigator in Wild at Heart (1990) and a crazy yet cunning scientist in Escape from New York (1981). Apart from his film performances, Stanton is also an accomplished musician, and “The Harry Dean Stanton Band” and their unique spin on mariachi music have been playing together for well over a decade. They have toured internationally to rave reviews. Stanton became a cult figure of cinema and music and when Debbie Harry sang the lyric “I want to dance with Harry Dean…” in her 1990s hit “I Want That Man”, she was talking about him. The 1999 fantasy crime-drama film ‘The Green Mile,’ starring Tom Hanks in the lead role, featured Stanton in the role of ‘Toot-Toot.’ The film earned four ‘Academy Award’ nominations and garnered immense critical acclaim. It was a blockbuster hit, grossing a whopping US$ 290.7 million at the box office. The cast of the film, including Stanton, earned a ‘Screen Actors Guild Award’ nomination in 2000, in the category of ‘Outstanding Performance by a Cast.’ The directorial debut of Nicolas Cage, the crime-drama film ‘Sonny,’ which released on September 2, 2002, featured Stanton in the starring role of ‘Henry.’ The titular character was essayed by James Franco. The film, however, failed to make a mark at the box office. Stanton also occasionally toured nightclubs as a singer and guitarist, playing mostly country-inflected cover tunes. He appeared in the Dwight Yoakam music video for “Sorry You Asked”, portrayed a cantina owner in a Ry Cooder video for “Get Rhythm”, and participated in the video for Bob Dylan’s “Dreamin’ of You”. He worked with a number of musical artists, Dylan, Art Garfunkel, and Kris Kristofferson among them, and played harmonica on The Call’s 1989 album Let the Day Begin. In 2010, Stanton appeared in an episode of the TV series Chuck, reprising his role from the 1984 film Repo Man. Other notable films featuring Stanton include ‘Alpha Dog’ (2006), ‘Rango’ (2011), and ‘Seven Psychopaths’ (2012). Throughout his career, Stanton appeared in several TV projects such as the series ‘Gunsmoke’ (1959–1968), ‘Big Love’ (2006–2010), ‘Mongo Wrestling Alliance’ (voice role, 2011), and ‘Twin Peaks’ (2017). Some of the TV movies that featured him were ‘The Ransom of Red Chief’ (1987), ‘Hostages’ (1992), and ‘Against the Wall’ (1994). 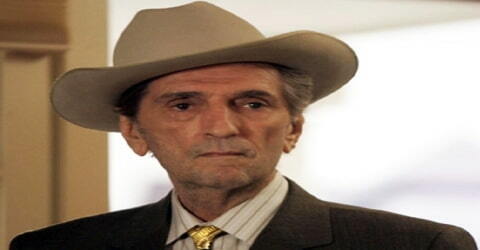 In 2011, the city of Lexington, Kentucky honored their native son with the three-day Harry Dean Stanton Film Fest, where in addition to many of his early works, the premiere of Tom Thurman’s PBS documentary Harry Dean Stanton: Crossing Mulholland was screened. In 2012, Stanton had brief cameos in The Avengers and in the action comedy Seven Psychopaths. He also appeared in the Arnold Schwarzenegger action film The Last Stand (2013). Stanton was the subject of a 2013 documentary, Harry Dean Stanton: Partly Fiction, directed by Sophie Huber and featuring film clips, interviews with collaborators (including Wenders, Shepard, Kris Kristofferson, and David Lynch), and Stanton’s singing. One of Stanton’s last film roles was that of the titular character in the John Carroll Lynch-directed American drama ‘Lucky,’ which released on March 11, 2017, and grossed US$ 955,925 at the box office. His remarkable performance as a 90-year-old atheist won him the ‘AISGE Award for Best Actor’ at the ‘Gijón International Film Festival’ and the ‘Satellite Award for Best Actor – Motion Picture,’ apart from a few other nominations. In 2017, Stanton appeared in Twin Peaks: The Return, a continuation of David Lynch’s 1990-91 television series. Stanton reprised his role as Carl Rodd from Twin Peaks: Fire Walk with Me. His last on-screen appearances are as a sheriff in Frank and Ava and a starring role as a 90-year-old atheist in Lucky. Stanton’s passion for music saw him touring nightclubs, where he sang and played the guitar. He also featured in music videos for songs such as ‘A Whiter Shade of Pale’ (1985) by Procol Harum, ‘Dreamin’ of You’ (2009) by Bob Dylan, and ‘Christmas in L.A.’ (2013) by ‘The Killers’ among others. 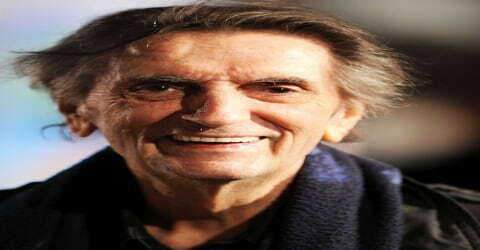 Harry Dean Stanton died a natural death on September 15, 2017, aged 91, at the ‘Cedars–Sinai Medical Center’ in Los Angeles, California. 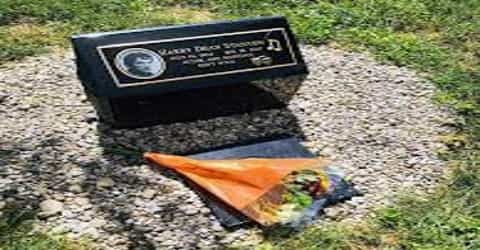 His ashes were spread outside downtown Lexington, Kentucky. 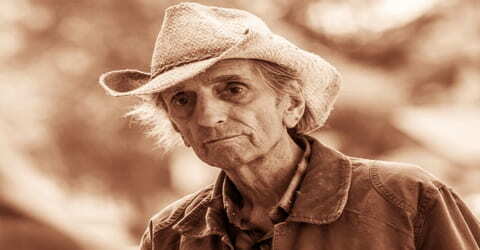 In 2013 Stanton was the subject of director Sophie Huber’s film Harry Dean Stanton: Partly Fiction. The film featured interviews with collaborators, film footage, and its subject’s music-making. On Record Store Day in 2014, the Omnivore label issued a single of the actor/singer covering George Jones’ “Tennessee Whiskey” as a precursor to the release of the film’s soundtrack and other recordings of classic country covers as well as a new version of “Canción Mizteca.” Also entitled Partly Fiction, the full-length was issued in June. Stanton fronted a band called “The Harry Dean Stanton Band” which regularly performs in the Los Angeles area. He sings and plays guitar. The band plays a mix of jazz, pop, and tex-mex styles. The band often plays in Hollywood at ‘Jack’s Sugar Shack’.